We’ve all been there. You get a new sofa for the living room. Or a new bedspread for the bedroom. Suddenly you realize that the wall color is all wrong. The color you’ve lived with for the past fifteen years looks old and worn out, or is just a little bit off-shade to the new items you bought to match them (from your memory of the color). 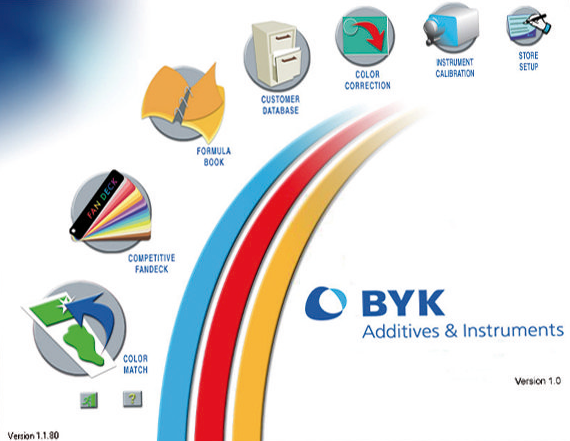 BYK-Gardner Retail Color System. Photo Courtesy of BYK-Gardner. Just about every paint company out there utilizes a paint color-matching system in their retail outlets. The system measures the color using a spectrophotometer, uses special software to calculate the colorants (and amount of each) required to match that color, and dispenses the colorant into a can of white or un-tinted paint base. A few minutes on the shaker and for under $100 the room can be made to match or coordinate with the new furniture or fabric. It all seems so easy. And one would assume that everyone does it just about the same way. Most use software that calculates the colorants and colorant amounts with the Kubelka-Munk theory. It has been around for decades and still does a reasonably good job. Used on its own it will match your paint color and give completely satisfactory results. However, color experts know that there is more to matching a color than getting a good color match. Some pigments behave better over the long term than others. Some pigments should not be used in combination with others. Some are much less expensive than others. Some resist fade better than others. Some resist chemicals better than others. And then there is a very special problem called metamerism. This is what happens when the pigments in the match are very different than the pigments or dyes used in the sample you want to match. The color may be dead-on in one light source but look completely off in another. Ever bought a jacket and slacks that matched perfectly in the store only to find out that when you brought them home the jacket was dark green and the slacks were brown? That’s metamerism. 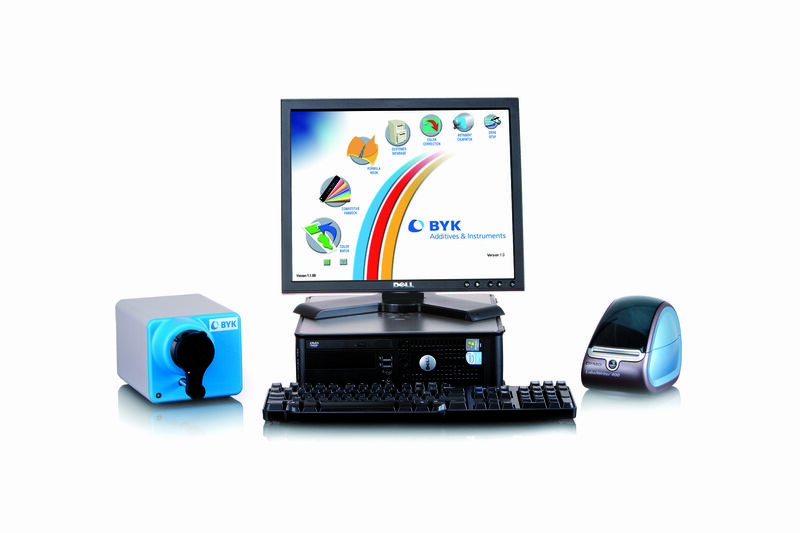 The BYK-Gardner in-store color matching software uses the same rules that the color expert would use in the lab to match colors. Yes, it uses Kubelka-Munk to calculate the amounts of each colorant to use in the match. But it doesn’t necessarily draw from all available colorants. 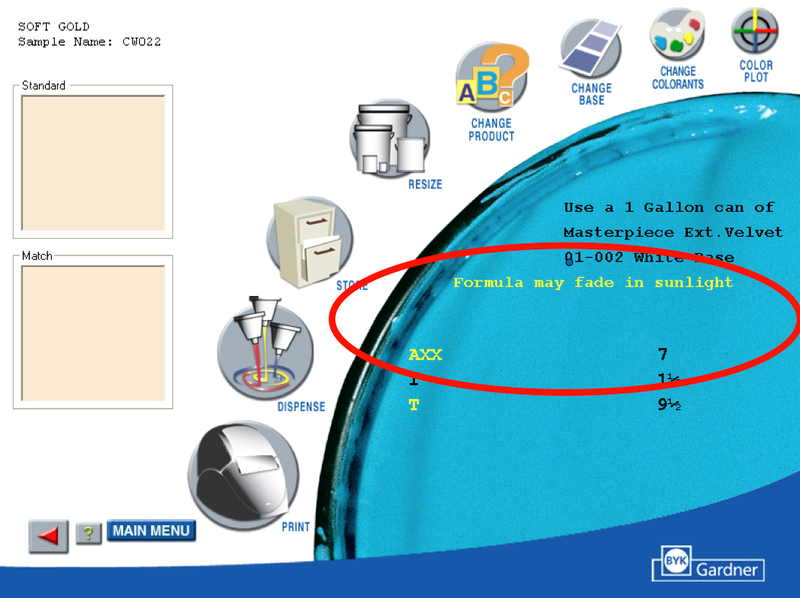 There are a number of rules that the software uses to choose which colorants to use. And these rules are the very same rules that a color expert would use. The difference is that you don’t have to know anything about color science or color matching rules to get the same quality of match. The first thing a color expert would do in matching a color would be to look at previously matched colors to see if there is a very similar color with a known formula. If there is, the expert would modify the amounts of this very same colorant set to make the match. If it’s a known and approved formula the colorant combination should be good. BYK’s RCS (Retail Color System) Software starts every color match by comparing the spectral curve of the unknown color to all the spectral curves in the paint company’s fandeck of colors. If it finds a good match it uses the same set of colorants to make the match. This is a great way to reduce metamerism, because all similar colors, at all gloss levels, will use the same colorant set. At least one major paint company out there uses a full combinatorial match (doesn’t check for known formulas or colorant sets first) for every color match. The semi-gloss trim in a room may use a different colorant set than the matte finish walls. It might even use a different set of colorants when matching in a quart than it does when matching in a gallon. The colors might match well when the lights are on in the room and look like two different colors when the sun shines through the window on them. Now let’s assume that there is no color in the known set of colors that is close enough to the desired color. A color expert would just know that to make a brown color you would use inexpensive black, red oxide and yellow oxide if possible. He would maybe have to resort to an organic red or yellow, but these are the basic pigment types he would use. Quite often I have seen color-matching software use opposing pigment types to create brown. In one classic case the software used an organic yellow, magenta and green to make a brown color. It was a perfect match until the customer washed the exterior paint with bleach to kill some mildew. It turned out that the magenta was very sensitive to bleach and completely disappeared with the bleach wash. The exterior turned from a brown to a bright yellow-green color! But only on the spots where the bleach was applied. It was quite interesting looking until the whole building was repainted with a brown color formulated by the color experts in the lab. Example of a warning for use of a colorant that might fade in sunlight in the RCS Software. Photo Courtesy of BYK-Gardner. The RCS software incorporates rules to prevent this type of thing from happening. The paint company itself has to supply the rules for its set of colorants, but in general the software is taught to always use an inorganic set of colorants first (if it can get the desired match quality – and if there is not a similar color in the customer’s fandeck which uses colorants other than the inorganic set). Inorganic colorants are very inexpensive and are in general very light fast. If it cannot make the color with all inorganic colorants it attempts to match using the full set of colorants available. But not by just randomly selecting colorants to get the lowest dE (color difference). RCS has some optional rules that can be set up for the various colorants and colorant combinations. For example, an interior/exterior product might want to use a bright organic yellow when used indoors but have that yellow blocked from use when matching for outdoors because of fade issues. Or it might be used outdoors with an on-screen warning that the yellow is prone to fading so that the customer knows and can choose a different color. Likewise, a color expert would always avoid formulating a color with opposing colorants. He knows that mixing red and green together to make brown can cause issues. Any small error in the dispense of the colorants can cause huge color shifts. Any difference in the rate of fade can cause color shifts (outdoors especially, but even indoors there can be shifts in the wall when compared to the wall behind pictures or furniture). Typical color-matching software ignores all this. RCS knows. Many paint companies have resident experts at color-matching working in their key stores. These experts know what works and what doesn’t. They know how to match color using manual adjustments to the computer generated formulas. But these experts are left-overs from before computer color-matching was common in the stores. They’re getting on in years and many are retiring. The next generation of color-matchers is growing up in an age when computers can be trusted to “always” give the right answer. RCS is the only software package out there in the industry that knows what it has to do to give that right answer, every time. I enjoyed this article. It was informative and made it easy to understand the color-matching process. Wow, before today I had never heard of Kubelka-Munk! Thanks.